Applicants must have registered and operated a 2009 or older diesel truck in California for the last 2 years to qualify. Applicants have 18 months to deploy the new RNG truck. This is the best grant program available and grants are awarded on a first-come, first-served basis. This funding won’t last long so apply today. The Proposition 1B: Goods Movement Emission Reduction Program (GMERP) provides incentives to quickly reduce air pollution emissions and health risk from freight movement along California's trade corridors. Financial incentives will be provided to owners of equipment used in freight movement to upgrade to cleaner technologies through truck replacement or engine replacement. 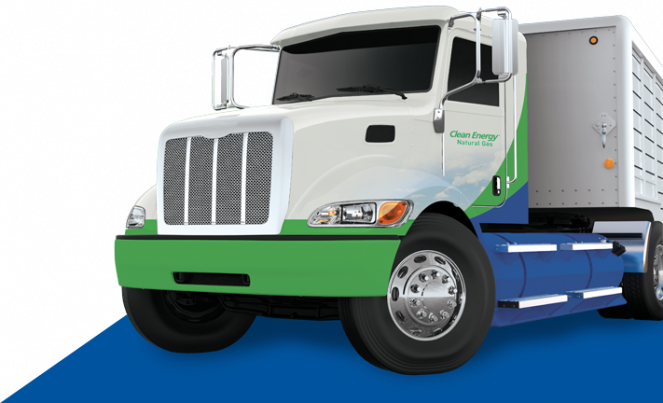 90% to 99% lower smog-forming NOx emissions than diesel = equivalent to an electric truck powered by the grid. Win customers with your commitment to saving money and the environment. Save money on price-stable natural gas fuel. The more you drive, the more you save. Meet and surpass environmental objectives. Natural Gas is an abundant and domestic fuel source. © 2018 Clean Energy Fuels. All Rights Reserved.